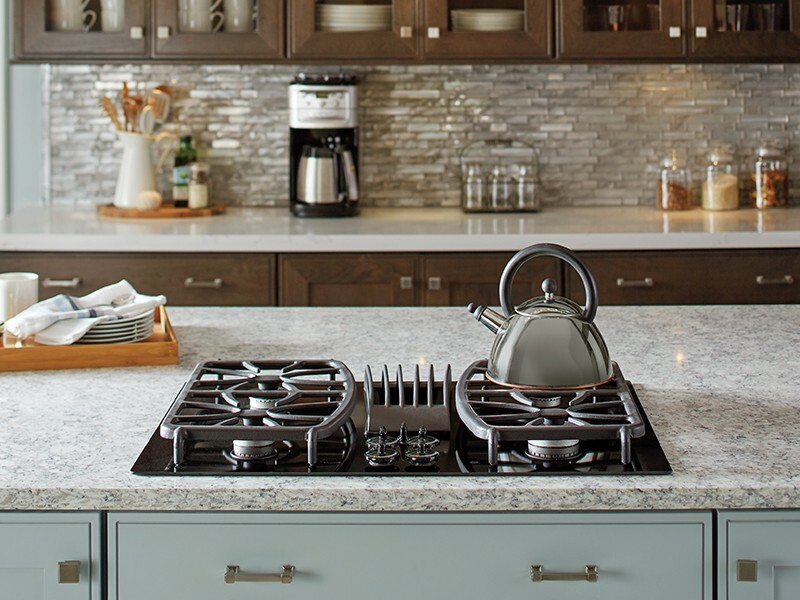 When looking for a kitchen update, many people head straight for stainless steel appliances. Stainless steel is sleek, chic, and has been a classic for decades. It will always be a great option for your kitchen appliances, but don’t be afraid to explore alternative finishes too! They can help you express your personal style, shake up the look of your kitchen, and really make an update feel fresh and new. A fun take on the classic bright stainless is the smoky and dark Black Stainless Steel. Thanks to the darker color, this finish is smudge and fingerprint resistant and it wipes clean quickly and easily. 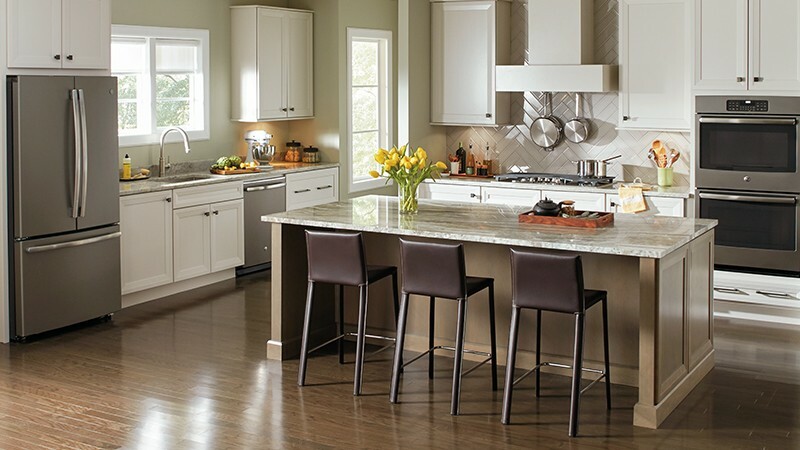 Try pairing it with rich, dark cabinets and bright, white countertops to open up the space. Or you can really shake things up with a soft pastel cabinet color, like a smoky teal, to provide beautiful contrast. 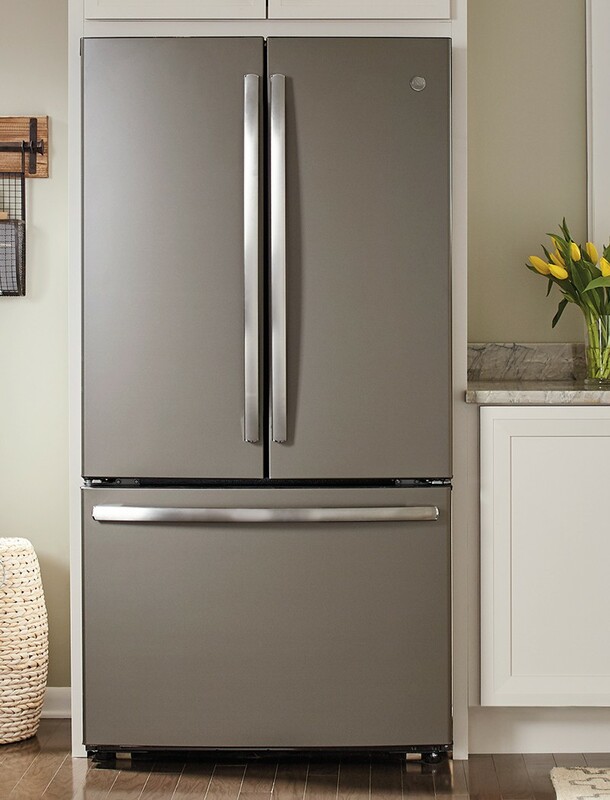 If shiny finishes aren’t for you, the GE Appliances exclusive Slate could be a perfect choice. It’s a beautiful neutral gray with a matte finish, so you can keep your kitchen on-trend. This finish is smudge-proof matte finish is chic and elegant, and it still holds magnets so you can add your own personal touches. Embrace this eye-catching look with a high-contrast cabinet color, like a bright, crisp white. Add a warm-toned wood floor to balance out the space. An elegant, stylish kitchen that looks great and is fun to spend time in is the ultimate goal in any home, so don’t forget to put your personal spin on it. Come check out these stylish finishes in person at The Home Depot, a leader in kitchen design, and find the look that speaks to you! 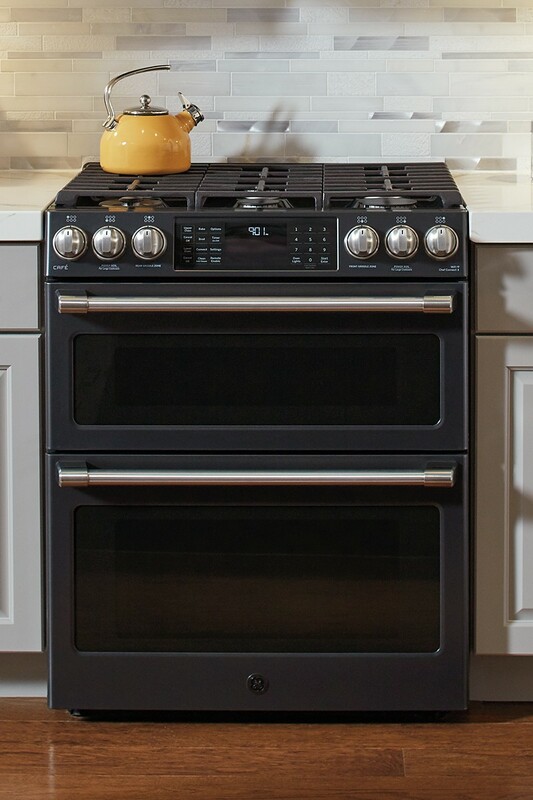 Perhaps a true, rich black is the appliance finish you want for your kitchen aesthetic. 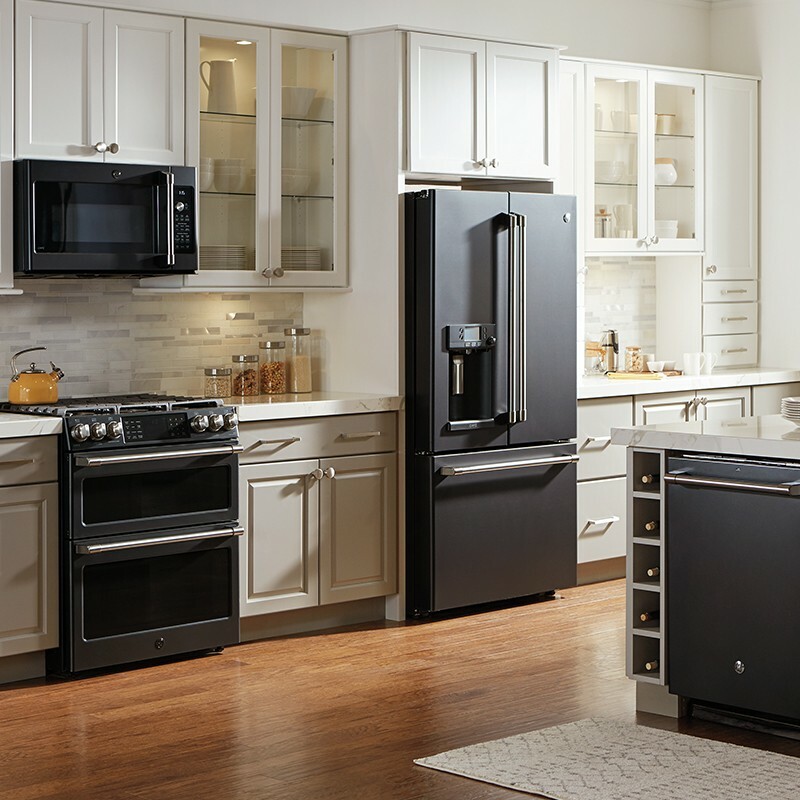 Look no further than GE Appliances exclusive Black Slate. The smudge-proof matte finish is chic and elegant, and it still holds magnets so you can add your own personal touches. Embrace this eye-catching look with a high-contrast cabinet color, like a bright, crisp white. Add a warm-toned wood floor to balance out the space. An elegant, stylish kitchen that looks great and is fun to spend time in is the ultimate goal in any home, so don’t forget to put your personal spin on it. Come check out these stylish appliance finishes in person at The Home Depot, a leader in kitchen design, and find the look that speaks to you! 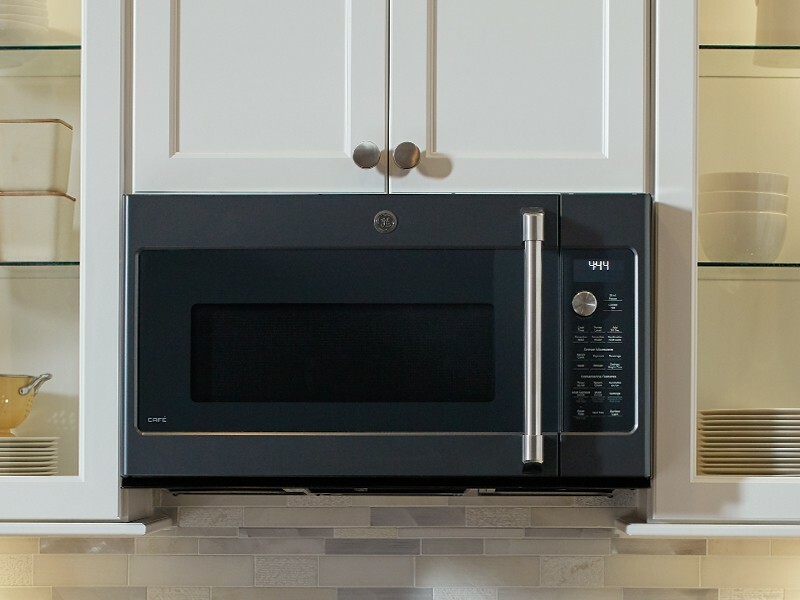 Check out more appliance ideas on The Home Depot Blog. 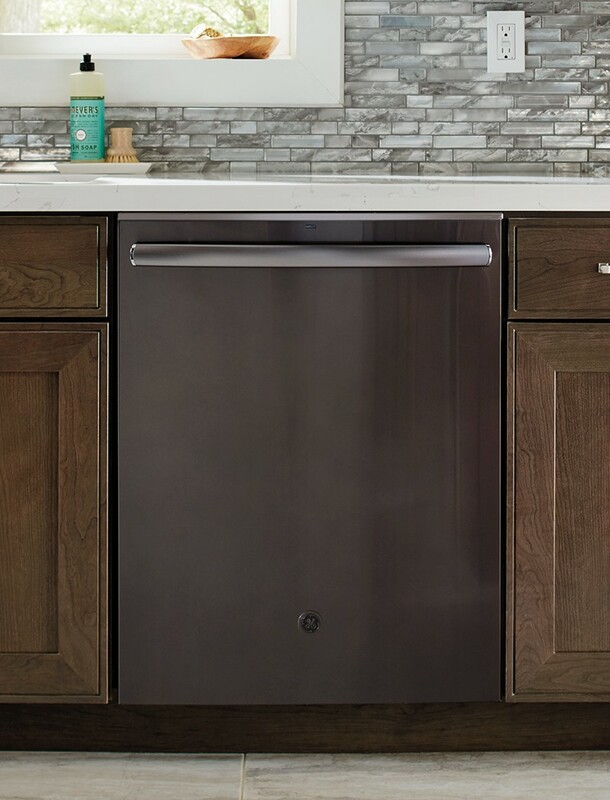 The post Exploring Alternative GE Appliances Premium Finishes appeared first on The Home Depot Blog.